William H. Heard (William Henry), 1850-1937. From Slavery to the Bishopric in the A.M.E. Church. An Autobiography. From Slavery to the Bishopric in the A.M.E. Church. An Autobiography. 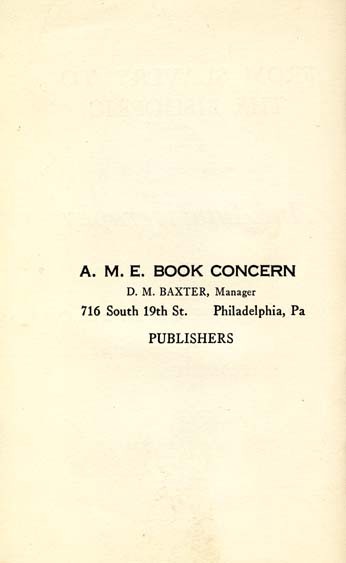 Philadelphia: The A.M.E. Book Concern, 1928.